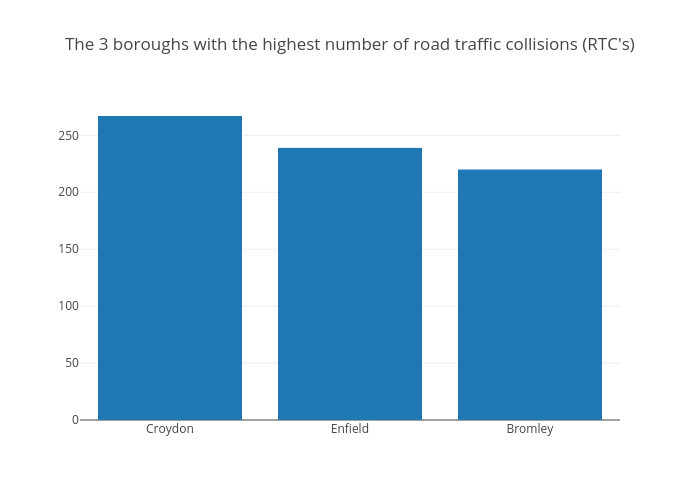 Riannanewman's interactive graph and data of "The 3 boroughs with the highest number of road traffic collisions (RTC's)" is a filled bar chart, showing B. The x-axis shows values from -0.5 to 2.5. The y-axis shows values from 0 to 281.05263157894734.